A common problem that arises for computer users is dealing with the USB Device not recognized error. This error is thrown after an USB device is connected to the computer but is not automatically detected. When the error occurs, the Windows Device Manager may also list the component as an “unknown device” depending on the type of error. Or the Laptop/Desktop completely unable to detected any electronics USB device no any error has shown on the display. Some times computer only detect few hardware that don’t draw power from the computer via the USB connection like printer and many other hardware that requires external power source to work. Laptop not detecting any electronics device which draw power from USB port like pen-drive or any USB device (USB 2.0 & USB 3.0) detected. USB device overcurrent status detected. Error 0701: USB overcurrent error. Device recognized on normal 2.0 but not on 3.0. Make sure before you read this solution, you made sure that everything is okay on the software side your device driver and OS settings like ”USB 2.0 or USB 3.0 Hub Power Management should be disable or have configure correctly and also BIOS settings are configured correctly and up to date. Make sure that USB is enabled from bios settings. 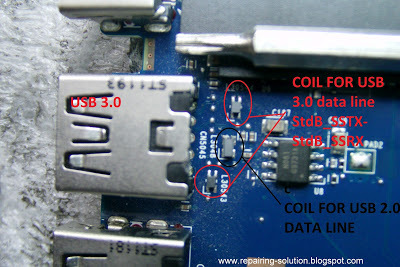 Before I stat the solution of this problem let me introduce some basic thing about the electronics behind the USB. We have two type of USB. Both power up the device from +5v Vbus pin to power up the small USB devices like pendrived and mouse the difference is USB 3.0 has double data lines for Superspeed high speed interface. Both port detect any device by their data lines. If the +5v is okay on the port and the system only detect the hardware not able to recognize the hardware that means something is malfunction in the date lines tracks form USB port to south bridge. Check the coils and fuse able SMD resistor for open which are connected in series of data liens with the malfunctioning port. If coils not found open then heat up the complete motherboard using the hot air gun. Make south bridge and the nearly components of USB port you main focus when to heating up the main board. After did all thing if you sill have problem then it means south bridge is dry-sold or the some track is broken on main board. now only two things can be done to resolve this problem..reflow or reball the south bridge. if this ‘not recognizing’ problem comes with the all ports of laptop or desktop board then the problem happens due to BGA south bridge if you already tried bios reflashing. But don’t worry i m not gonna tell that the time is to change the south bridge. Because it’s pretty risky work to replace a big BGA chips on a laptop motherboard. Just you need to re flow the south bridge using a simple hot air gun or a IR BGA rework station. You can see my older post if you gonna use the simple hot airgun to reflow you south bridge. Be carefully because if you not ever had any BGA re flow. a mistake can be damage your main board or the chip. Laptop not detecting any electronics device which draw power from USB port like pen-drive or any USB device detected. This problem is related with main board of desktop laptop computer. If you facing this kind of problem then first thing that I would like to let you know that is this problem happens due to the missing +5v on the port. because if laptop not able to detect device that draw the power from the USB port to working like pen drive mouse keypad. If USB device didn’t get the power how they will work? 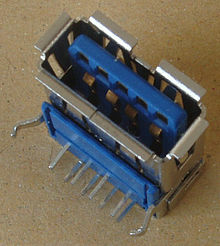 In every laptop and in some desktop mother board manufactures use a switch circuit for power management and protect the motherboard from shorted USB device and to protect form overload. Mostly you will found the VBus pin fuse open or the switch IC faulty. This switch is normally is a SMD chip that provide the power. Each and every USB port can be have a single chip as there power management switch and also a chip can manage two or more port depends on the manufacture. So simply take out the motherboard of laptop on your working desk and trace out the track of VBus of the port that malfunctioning and check the fuse or coli for open if this used in series of . pin to USB power manger chip. if it’s okay then now check the input voltage of chip if available first of all resold the chip and then make sure chip gets the enable signal is available on the chip. you can download the chip data sheet to know the pin details of chip. But as per my experience you don’t have to download the chip data sheet because mostly laptop have same chip for every port so it’s easy to diagnose that chip has problem or not. Simply check the same voltage on the so this fault happens some of reasons if you ever plugged in any sorted USB device in USB port or due to port broken and also can be happens. If you get the this kind of error message on starter (POST) screen wham you turn on the laptop or desktop computer than that meas any short circuit in the USB port. 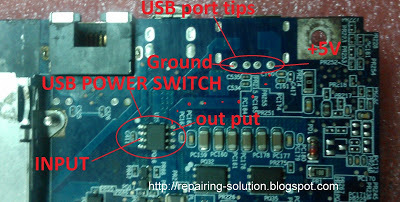 So simply check the port for physically broken normally the broken USB socket is the most reason of shorting in USB power supply line. if no any port the seems like broken or short the problem will can be in USB power manager chip simple check the USB VBus shorting with ground. 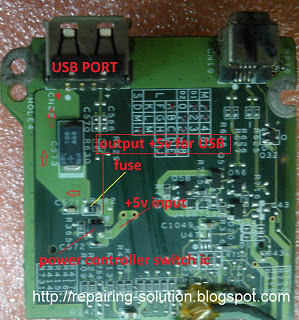 And the good news if you have problem with USB power chip and it’s availability is out of reach from you then u can easily bypass the USB port supply… remove the USB power chip and just short the input and output track of chip using a wire. 4. Device recognized on normal 2.0 but not on 3.0. If USB 3.0 device not recognized by the usb 3.0 port and your hardware device and the settings of USB is seems okay then check the StdA_SSTX, StdA_SSRX pins or and coil for open and dry.